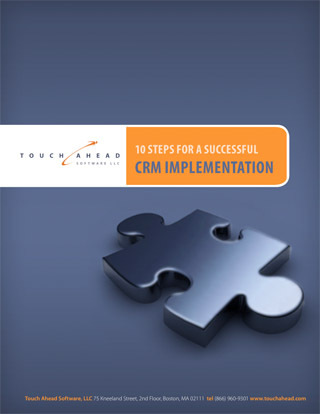 In our white paper, “10 Steps for a Successful CRM Implementation,” Nancy makes critical points on key elements that organizations must consider when considering a CRM implementation. Without considering these key elements, a company’s CRM initiative could fail. Read the white paper and see what valuable information you have yet to discover about correctly choosing and implementing a CRM solution! Please fill out the form to receive the white paper.